Intel Desktop Board D2700MUD is integrated with the Intel Atom processor D2700 and the Intel NM10 Express Chipset to offer a desktop computer system that supports dual independent display capability with VGA and Digital DVI ports. 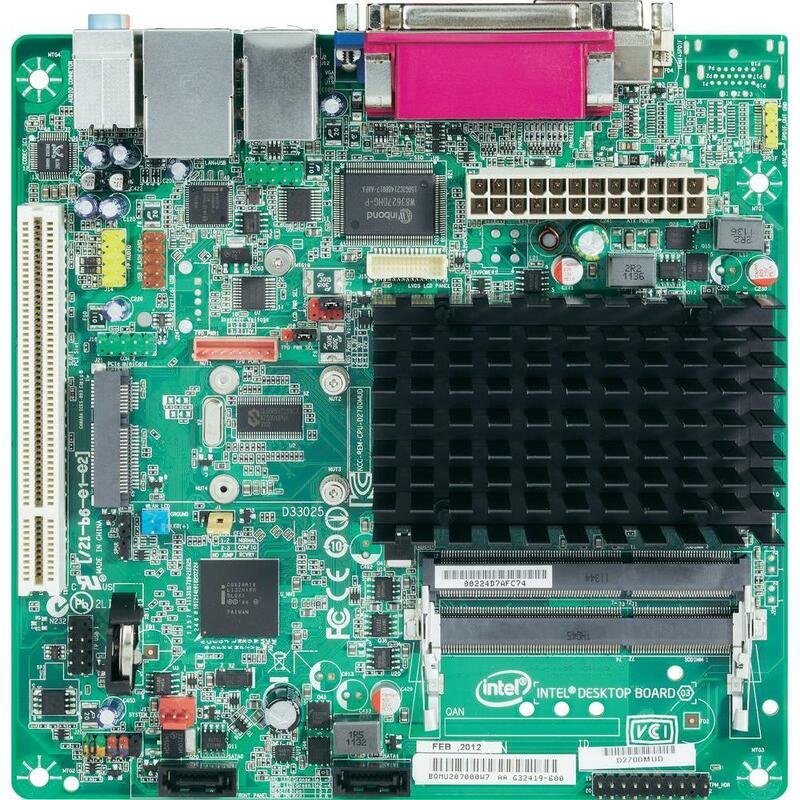 The board also features a 10/100/1000 integrated Intel LAN, and Intel high definition audio. The Intel Desktop Board D2700MUD features a passive thermal solution that makes it suitable for a small form factor system that can fit perfectly with two display panels. It features the Intel Graphics Media Accelerator 3650 which supports high-definition video playback via the VGA and Digital DVI graphic ports.